Demand for property has lifted in London but commuter locations around the capital have seen a slowdown while Wales and Scotland outperform the rest of the UK, the latest index shows. Overall, the national hotspots index from hybrid estate agent Emoov, which calculates the number of properties sold as a percentage of homes listed, reached 38%, up 8% across the country, but up just 3% in England. While in Scotland it rose by 8% and in Wales by 10%. It also shows an improvement for London with demand up 2% since the beginning of 2018. But in commuter zones demand fell by 8%. While Edinburgh is the most in demand city at 62%. lowest change at 3% and the index report suggests that this could be a result of the higher prices across England, as market uncertainty has seen activity largely subdued at higher ends of the market. Demand across the UK’s major cities and towns have seen a slight rise of 1% in demand since the start of the year while Durham tops the list for the largest increase at 60% after a consistent decline over the last year. 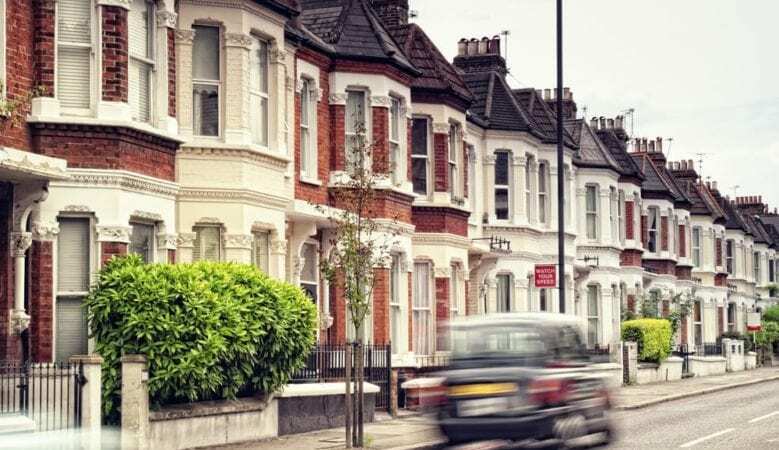 The report explains that London’s escalating levels of unaffordability has resulted in a mass shift of home buyers moving to the peripheral commuter belts. This has led to high levels of demand for property in these towns but this influx of buyers might be starting to slow. Across the commuter belt demand as a whole has dropped 7% since the start of 2018 to 39%. Tandridge is the hottest spot at 42% demand and has seen an uplift of 30% already this year. In London the biggest demand is in the borough of Hammersmith and Fulham at 71%. Overall the biggest jumps have been in prime property markets in central London. In England the highest demand is Bristol at 45%, while Berkshire has seen the largest change with a rise of 50%. In Wales, Newport has the highest demand at 52% and Powys has seen the largest change in 2018 with growth of 54%. East Renfrewshire in Scotland has 63% demand currently and Clackmannanshire has seen the greatest increase over the year with growth of 36%. ‘Things appear to be looking up in London with the first positive signs of demand growth in over a year, surprisingly driven for the most part by prime central London. The capital is always the first to show signs of decline due the higher price tag but it would seem that despite slower market conditions, there is still an appeal for living in the capital,’ said Russell Quirk, chief executive officer of Emoov. ‘Market uncertainty is still dampening buyer appetite elsewhere across the nation though as demand in the UK’s larger urban towns and cities has cooled. The London commuter belt has also been on fire for quite some time but has dropped the pace a little in 2018. It is inevitable that such a sustained level of demand will eventually drive prices up and so this slight correction is nothing to worry about,’ he pointed out. ‘However, there are positive signs across the board for UK demand and indicators that the market is starting to find its feet again. The more affordable spots across the nation are seeing notable uplifts in buyer demand, and in turn price growth, and as stability builds the upper ends of the market should start to follow suit,’ he added.